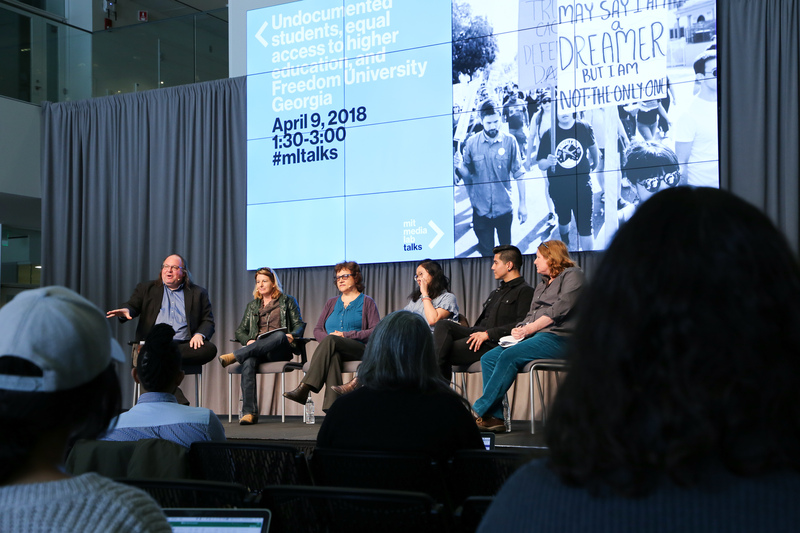 A conversation with the founders and alumni of a provocative experiment in higher education, where volunteers provide classes for free to students who are prevented from attending state universities due to their immigration status. The founders of Freedom University Georgia talk about how they responded to their state's prohibitions against educating undocumented students, and the larger movement to provide educational opportunities to students regardless of immigration status. Betina Kaplan earned her PhD in Spanish literature and culture from Columbia University after graduating from Universidad de Buenos Aires, Argentina. She is an associate professor of Spanish at the University of Georgia where she teaches courses on Latin American literature, film, and culture. Her research focuses on cultural productions, gender, violence, and memory of the recent past in the Latin American Southern Cone. Her first book, Gender and Violence in Contemporary Narratives from the Southern Cone, was published by Tamesis in 2008 (in Spanish). She is currently preparing a book on the representation in literature, film, and photography of victims of State Terror (“desparecidos”) during the 1970-80s dictatorships in the Southern Cone. Through Service Learning courses she developed several projects, including a Spanish adult literacy program for Spanish-speaking immigrants, which linked the University with the local Latin@ community and organizations. In 2011, when laws and regulations in Georgia profoundly restricted immigrants’ access to higher education, and undocumented college and high-school students started putting themselves at risk of deportation in acts of disobedience, she became one of the founding members of Freedom University. She was actively involved with FU through July 2014. In August, 2014 she co-founded U-Lead Athens, and is currently one of its co-directors. Both Freedom University and U-Lead Athens strive for equal access to higher education regardless of immigration status. Keish Kim is a 1.5-generation undocumented migrant, woman of color, feminist, and writer, currently working toward her PhD in American Studies at Harvard University. She is also a co-founder of Freedom University Georgia and Georgia Undocumented Youth Alliance (GUYA), and has worked nationally with National Korean American Services & Education Consortium (NAKASEC). After working with Freedom University and The Georgia Undocumented Youth Alliance for a number of years, Gustavo Madrigal Piña attended and graduated from Hampshire College in 2016. While there, he helped start the Immigrant Solidarity Network. He now works as a paralegal at Make the Road, NY and is a proud Freedom University alumnus. Bethany Moreton is a series editor for Columbia University Press’s Studies in the History of US Capitalism. Since receiving her doctorate in history at Yale in 2006, she has been a visiting scholar at the American Academy of Arts and Sciences in Cambridge and a fellow at the Harvard Divinity School and the Institute for Research in the Humanities at the University of Wisconsin. 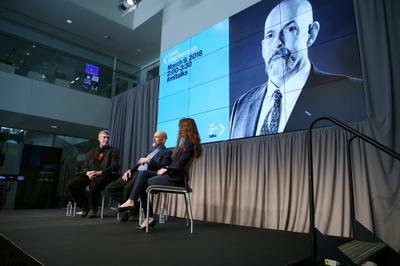 Her first book, To Serve God and Wal-Mart: The Making of Christian Free Enterprise (Harvard University Press, 2009), won the Frederick Jackson Turner Prize for best first book in US history, the John Hope Franklin Award for the best book in American Studies, and the Emerging Scholar in the Humanities award from the University of Michigan. Her new book, Our Lady of the Market: Catholicism and the Conservative Search for a Moral Economy, is under contract at Harvard University Press, and her Devotions and Desires: Histories of Religion and Sexuality in the Twentieth-Century US (co-edited with Gill Frank and Heather White) is forthcoming from the University of North Carolina Press this year. She is a founding member of the Tepoztlán Institute for the Transnational History of the Americas and a founding faculty member of Freedom University, which offers college coursework without charge to qualified Georgia high school graduates regardless of immigration status. Professor Pamela Voekel is the author of Alone Before God: The Religious Origins of Modernity in Mexico, which won the Thomas McGann Memorial Prize, and of multiple articles and book chapters on the intersections of religion and politics in Mexico, popular religion in Latin America, and theory and methods in transnational history. She is currently completing a second book entitled For God and Liberty: Catholicism and Democracy in the Atlantic World in the Age of Revolution. She is the co-founder of the Tepoztlán Institute for the Transnational History of the Americas, a week-long seminar held annually in Mexico since 2003, and a co-founder of Freedom University Georgia, which provides rigorous college-level courses for the undocumented students banned from Georgia’s top research universities (www.freedomuniversitygeorgia.com). She teaches courses on the history of colonial and modern Latin America, capitalism in the Americas, and racial and gender configurations in empire building and decolonization; her research has been supported by grants and fellowships from Harvard Divinity School, the National Endowment for the Humanities, and the Social Science Research Council, among others. Lorgia García Peña is a Latino/a studies scholar who studies ethnicity, race, and national belonging. Her main areas of interest include Dominican history, literatures, and cultures, Caribbean diaspora studies, immigration, diasporas, contemporary politics, and performance studies. She works with written, oral, and visual texts from the 19th century to the present. She is a graduate of the American Culture Program at the University of Michigan, and of the Rutgers University Spanish and Portuguese department. She is assistant professor of romance languages and literatures and of history and literatures at Harvard University, and a member of Harvard’s Committee on Ethnicity, Migration, Rights, Studies of Women, Gender, and Sexuality and of the graduate program in American Studies. She is also one of the founders of Freedom University Georgia. Freedom University Georgia provides rigorous college preparation classes, college and scholarship application assistance, and leadership development for undocumented students in Georgia. Founded in 2011 by a coalition of undocumented students, immigrant rights activists, and four professors at the University of Georgia, Freedom University opened its doors following the passage of Georgia Board of Regents Policy 4.1.6, which bans undocumented youth from attending Georgia's top public universities, and Policy 4.3.4, which bans undocumented students from in-state tuition. In its early years, the curriculum at Freedom University involved a humanities-based course on Sunday afternoons in a community center in Athens. Today, Freedom University's curriculum involves four, 75-minute classes in human rights, language arts, biological sciences, college preparation and SAT tutoring, as well as skills-based training in social movement leadership and self-care. Freedom University also provides students with access to free mental health services in its network of pro-bono mental health professionals, and monthly "Know Your Rights" trainings to protect students and their families in interactions with law enforcement or immigration agents. Georgia is the only state in the country to ban students both from select universities and from in-state tuition. These policies effectively target and exclude undocumented students.